Invite Your Elected Officials to the March for Life! 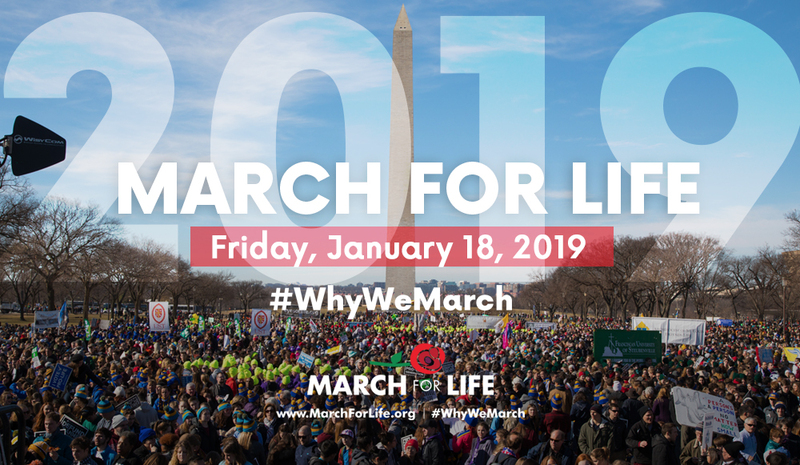 The 46th annual March for Life is coming up on Friday, January 18, 2019. With a new Congress just being sworn in, it’s more critical than ever for our lawmakers to hear from pro-life America. Will you invite your Congressman and Senators to attend the March for Life and see the strength of our country's pro-life consensus? Sadly, since the Roe v. Wade decision in 1973, over 60 million lives have been lost to abortion. We march to see an end to abortion and promote a culture of life. Help us share this message with our lawmakers! Enter your information to send this important invitation now! The 46th annual March for Life is coming up on Friday, January 18, 2019. The rally is held on the National Mall and is followed by a march up Constitution Avenue to the U.S. Supreme Court. As your constituent, I invite you to attend the nation's largest annual gathering of pro-life Americans. Over one hundred thousand Americans are set to travel from across the country to our nation’s capital for this year’s March for Life, the largest annual pro-life demonstration in the world. This year’s speaking lineup includes a bipartisan lineup, and the theme for the 2019 March for Life is “Unique from Day One: Pro-life is Pro-science." Being pro-life is not in opposition to science. It’s quite the opposite in fact! Medical and technological advancements continue to reaffirm the science behind the pro-life cause – that life begins at fertilization, or day one, when egg meets sperm and a new, unique, human embryo is created. From the moment of fertilization, our DNA is present, whether it’s 23 pairs of chromosomes or 22. When life begins and the stages of prenatal development are scientific facts. Humanity – and our uniqueness as individuals – begins at day one, at fertilization. Life, in its most vulnerable form, should be protected. That, in essence, is why we march. We march to end abortion, with the vision of a world where the beauty, dignity, and uniqueness of every human life are valued and protected. Since the Roe v. Wade and Doe v. Bolton Supreme Court decisions in 1973, over 60 million lives have been lost to abortion. The March for Life is a witness to this tragic loss, and I encourage you to see for yourself first-hand the passion and peaceful witness of the March for Life, and America's pro-life generation. Thanks for participating! Please encourage others to act by sharing on social media.